A South Indian can never have enough recipes for Coconut chutney. Or for that matter Tomato Chutney and Onion Chutney . Why even Tama.....OK OK! You get the point. We love our chutneys. Our love for Dosas and Idlis is only surpassed by the accompanying chutneys that go along with it :). 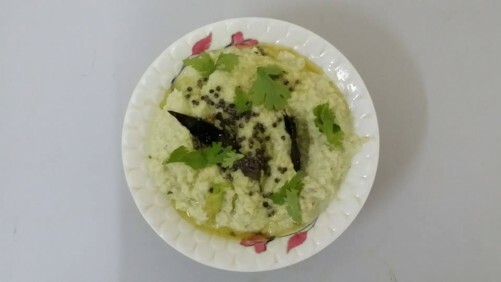 I have posted a recipe for Coconut chutney before but when I was asked for a Vegan option, I thought of this recipe that I make regularly as well. The other version has curd (I use Greek yogurt) in order to provide additional protein in the meal. But this recipe today is what my mother uses every single time to make her chutney. 1. Coconut: I would recommend using fresh, but thawed frozen coconut would work as well. 2. Green Chilli: We don't take well to heat but to balance the flavor, I use couple of slices of Jalapeno. You can add as many or as little according to your taste. 3. Onion: You can use a shallot (about 1/2 should do). The onion I get is sharp tasting and we do not prefer it raw in this chutney. Hence I use this amount 'cos the cooking reduce the sharpness. 1. Since we don't prefer raw onions, cos of the sharpness I prefer cooking the onions a bit. If you want to use raw, go for mild tasting onions like Shallot. Refer Tip 3 for more details. Heat a pan and add the onion along with salt. I do not use oil and the salt helps to bring out the moisture from the onions. 2. Add the chillies. See Tip 2 for more details. Once the onions are soft, remove from heat. 3. Now add rest of the ingredients (excluding under tempering) in a blender along with the onions. 4. Blend it into a fine paste adding enough water to make for a smooth, yet slightly thick chutney. 5. Remove and pour it in a bowl. 6. In the same pan, add 1 tsp Coconut oil (or any oil of your choosing). Once hot, add the mustard seeds. When it starts popping, add the asafoetida powder. Switch off the heat and then add the curry leaves. 7. Pour this over the chutney. Mix well, taste and season with additional salt if needed. 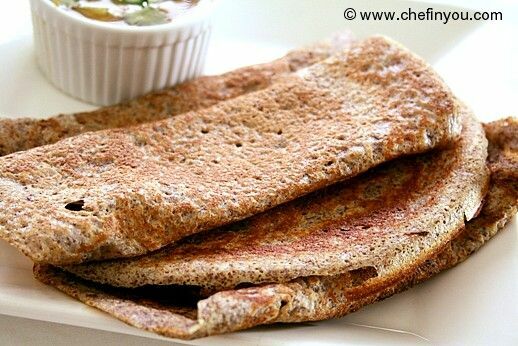 Serve with Idlis, Dosas or any other dish of your choosing. For the most part, I have completely followed the recipe given by DK. I added one new ingredient and slightly altered another. The new ingredient I added was a single piece of garlic. The altered ingredient was fresh coriander instead of cilantro. Here is the end result. After this posting, I am going to have it with home-made dosa and sambar. I love chutney recipes. I am a big fan of this recipe. I am very thankful that you shared various chutney recipes. Keep sharing further. i am so happy to make this receipe but i suggest you to plese add some soup receipe like hot and sour soup,tomato soup etc. :wink: i like this chutney and yammmmi!!!!!!!!!!!!!!!! :lol: The final result was ... yum!! Thanks DK and the chefinyou team.